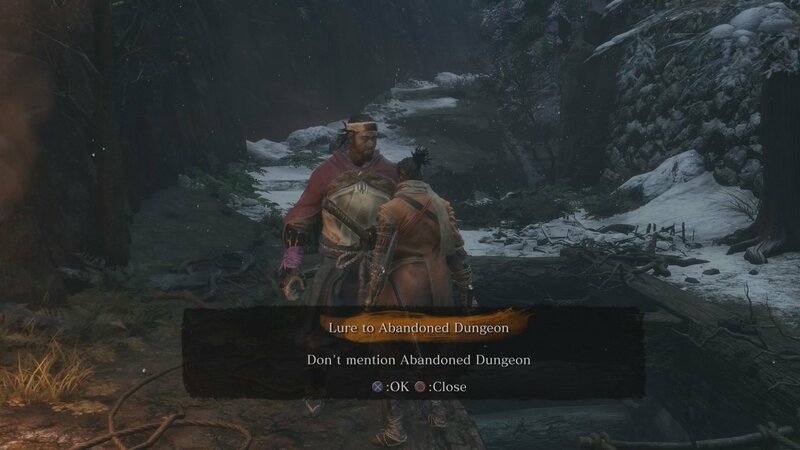 If you're looking to be evil, this guide will teach you where to find a tough man to lure to the Abandoned Dungeon for Doujun in Sekiro: Shadows Die Twice. 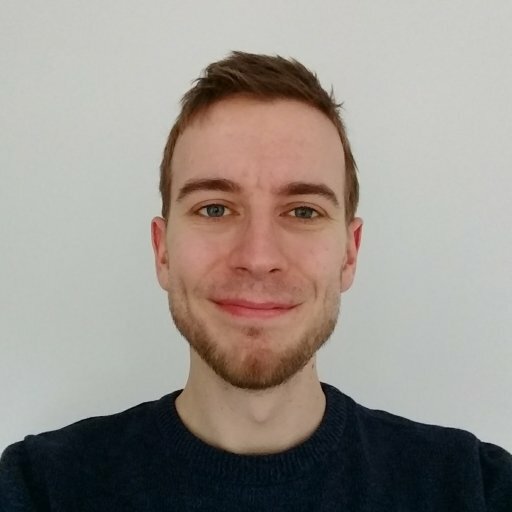 Of all the requests NPCs will make in Sekiro: Shadows Die Twice, the Abandoned Dungeon’s surgeon Doujun will give you the most suspicious by far. Speak with him after the Abandoned Dungeon Entrance Idol and he’ll ask you to find a tough man for his master to experiment on. Whatever his motives, if you want to complete this quest you’ll need to lure some poor sap to the dungeon. In this guide we’ll teach you where to find a tough man in Sekiro: Shadows Die Twice. Doujun in the Abandoned Dungeon will give you the Surgeon’s Bloody Letter, which is a request from a man named Dosaku for “1 tough man. Preferably a strong samurai, or a young, large soldier such as a member of the Taro Troop.” If the bloodstained letter wasn’t suspicious enough, things are only going to get worse from here. There are two men who fit the description in the Surgeon’s Bloody Letter, and while we’ll detail both below, it’s important to understand the implications of luring them to the dungeon. Should you trick either of these NPCs to visit the Abandoned Dungeon, they will disappear from the game, presumably having died. You won’t be able to continue their questlines, but you will receive a reward and new items at the Memorial Mob merchant. With that in mind, here are the tough men you can choose. The first NPC you can lure is Jinzaemon Kumano, a noble warrior who patrols the moat. 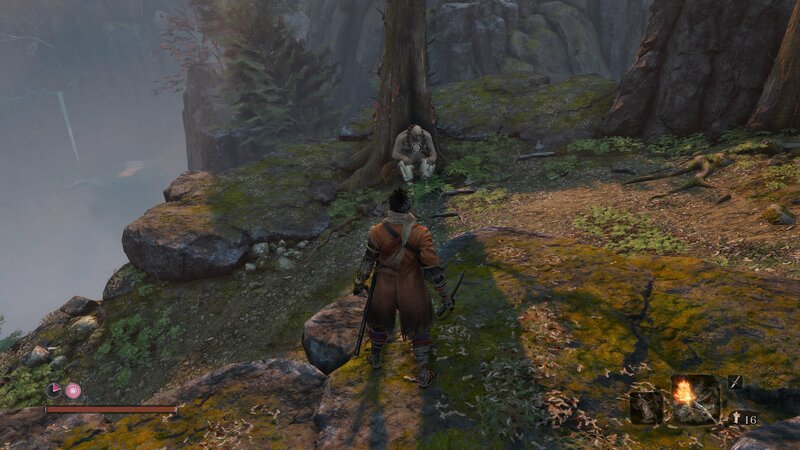 He can be found near the entrance to the well in which you started the game, reached from the Ashina Reservoir idol. If you’ve already defeated the Lone Shadow Longswordsman, he’ll then move forward to within the Abandoned Dungeon. Jinzaemon is looking for a Shamisen player who’s melody he can here. He’ll pop up again several times throughout the game, and if you complete his story you’ll get a special Jinzo statue. Sending him to the dungeon instead will reward you with 3 Lumps of Fat Wax for use in upgrades. You’ll also be called cruel by the Memorial Mob merchant near the dungeon entrance. Kotaro is a large and sad man you’ll find near the entrance of Senpou Temple. After speaking with the Buddha statue, turn right and jump down the path to find him sitting against a tree. He’ll say he needs to find the “pure white flower” to remember. You’ll find two flowers in the area as you explore Senpou, a red and white flower and a pure white flower. If you want to progress Kotaro’s quest, you’ll need to give him the white flower and obtain the Divine Abduction shinobi prosthetic tool, but to lure him to the dungeon (or the Ashina merchant) give him the red and white flower. Once again you’ll receive 3 Lumps of Fat Wax but lose out on his quest. Much later in the game you’ll have the chance to return to the Abandoned Dungeon and sneak into the room behind Doujun and see the results of your actions by diving underwater, but many players still don’t consider the sacrifice worth it as you’ll lose out on other character’s stories. 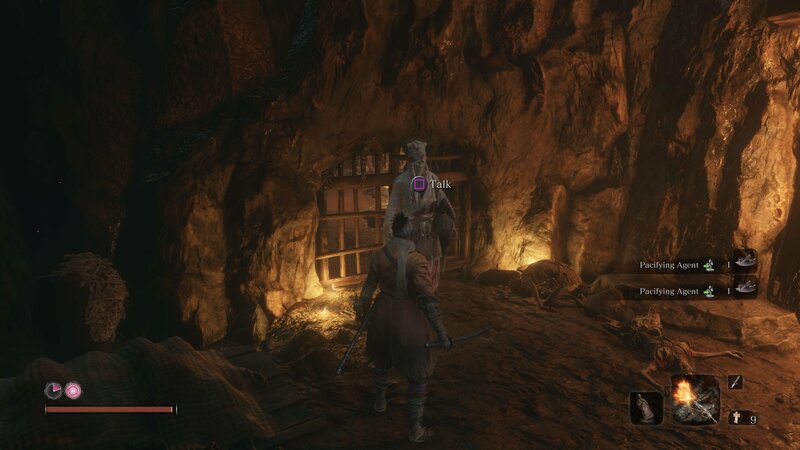 Now that you know where to find a tough man in Sekiro: Shadows Die Twice, you might want to complete some of the other NPC quests available. Did you manage to find the rats for the Ashina Tengu? We can also point you to all the shinobi prosthetic tool locations.